20 years mean 20 summers and winters, 7,300 days and 175,200 circles of hands of a clock. To an enterprise, 20 years mean experience sediment of past time.At this Canton Fair, KIPOR came with new products and persisted in originality without losing original intention. 8.Improving generator set framework, letting it be easy to start in atrocious weather. 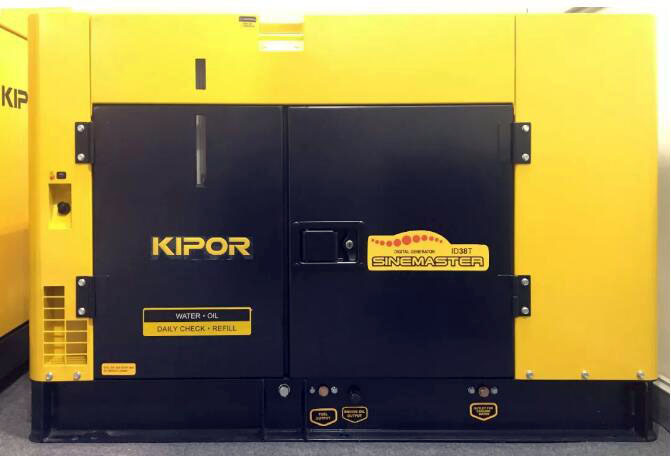 To meet requirements of users, KIPOR released three-phase four-wire system generator set on the foundation of its own leading digital technology and innovation. 3.It adopts SPWM pulse width modulation technology and can remain stable output voltage, smoothing and sine wave with less distortion. 4.High quality sine wave output is perfect for providing power for sensitive equipment like computers, TV sets and microprocessor controlled appliances, and is also suitable as a residential standby generator. 5.KIPOR applies an “Intelligent Energy Saving Mode” which will adjust engine speed according to the load requirement. It will reduce fuel consumption by up to 25%. At the Canton Fair, KIPOR obeyed to the craftsmanship spirit and showed many high-quality new products with innovative designs. KIPOR has persisted in the way of globalization for 20 years with gradually-larger brand influence from China to the world. We firmly believe that KIPOR will step on a higher ladder and create more surprises in the industry. Let’s wait and see what happens. Copyright © 2011 - 2019 KIPOR (开普) All rights reserved .